At long last, Sonos is ready for small talk. The wireless speaker company—whose gloss has dulled as Amazon, Google, and soon Apple, have released increasingly decent “smart” speakers over the last couple of years—is finally releasing a speaker with built-in voice commands. It’s called the Sonos One and it comes with Amazon’s Alexa assistant built in. In 2018, Sonos says it will support Google’s Assistant, too. If you’re enticed by what appears to be a Play 1 speaker with microphones and Alexa squeezed in, you can preorder the One today. It’s coming out October 24th and will cost $199. It comes in two colors: white and black. For more than a year, Sonos had promised (but failed to widely deliver) a software update that seamlessly integrated its existing speakers with Amazon’s Echo. That update was locked away in a closed beta since late-2016. But now, as of this morning, it’s available to everyone. This tie in is far less interesting now that Sonos has announced its own self-contained, Alexa-powered speaker. For Sonos, today’s event is about more than just its speakers. The company once led the industry with its Wi-Fi-powered music-streaming boxes. But now, as connected gadgets replace our doorbells, TVs, lightbulbs, and routers, Sonos has decided to morph from a closed, control-everything company into an open, partner-focused company. To wit, Sonos has a new “works with Sonos” badge, and today it announced partners like Logitech, Samsung SmartThings, and HDL. Presumably an increasing number of gadgets will sync up with Sonos’ speakers. The company is also adding full support for Apple’s Airplay 2 protocol eventually, in 2018. And there’s a new Sonos app out today. Hopefully the update will fix the rather clunky music streaming experience that Sonos has offered to date. Sonos’ shift is a big one, but by opening the gates to outside hardware firms, the company appears to also be giving up a slice of the obsessive perfectionism that it’s known for. 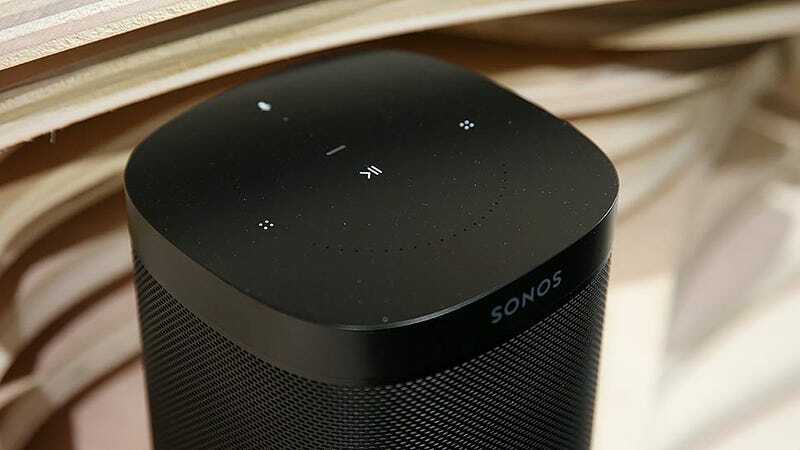 Instead of pulling an Apple, Sonos is going full Android.